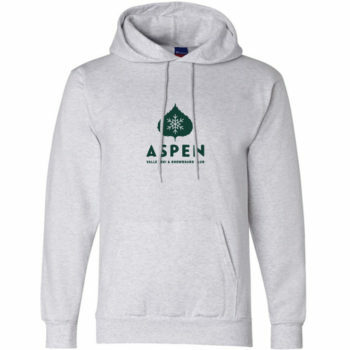 We are excited to share Aspen Valley Ski & Snowboard Club's new logo! While we are calling it our "new" logo, it is really a fresh take on an old logo. The leaf is a symbol of our appreciation of our community and our heritage. We are proud of our history; it inspires our future every day. Whether our athletes are wearing the leaf on one of our four mountains or a peak across the globe, it Quick read more or view full article is a strong representation of our valley and all that it stands for: a dedicated community rich with history and ripe with potential. A huge thank you goes out to everyone involved with this change: this took months of brainstorming, iteration, and implementation. We are thrilled with the end result and hope you all love it, too. 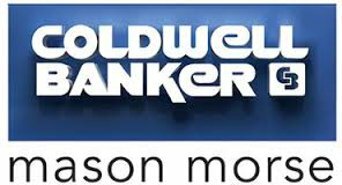 While we have a new look, our mission remains the same: to provide all youth in the greater Roaring Fork Valley the opportunity to excel as athletes and as people through winter sports. We thank you for being a part of our community and helping us make this mission a reality. Here's to another great season ahead - Aspen Valley Ski & Snowboard Club's 82nd! The previous AVSC leaf. We're excited to see what our athletes accomplish while sporting the new one! This week only - check out our online store to buy apparel with the new logo on it! Store closes 11/7, items ship shortly afterwards (and will be here well in advance of the holidays). Hailey Swirbul is an AVSC alum and US Ski Team member. This is a letter she wrote to her 10-year-old self regarding her relationship to nordic skiing. Dear 10-year-old me: Do it. Join the AVSC Nordic program. I know you dreamed of floating through the moguls course like your brother, but you won't regret joining the Nordic team, I promise. When you skate ski for the first time at Thanksgiving camp, I wish you wouldn't be embarrassed. You are going to struggle, you are Quick read more or view full article going to wonder why on Earth you aren't riding the chairlift to your next run on the slopes, you are going to be hundreds of meters behind everyone else with a single patient coach reminding you that you're going to get through it. And that's OK. You don't have to be the best at something in order to fall in love with it. You will have to wake up at 5:15 a.m. before class in high school to get in your morning gym session. But it won't be so bad. You will meet incredible mentors in your community, from the mayor to a professional bull rider, during the early hours of dawn at the gym. These people will take an interest in you and support you, and when you are in a time of need, will raise funds for you to travel to Kazakhstan to compete in your first World Junior Championships. Be grateful, because you live in a network of caring, compassionate and supportive community members. Suddenly, you won't be skiing for only yourself anymore, you will be skiing for your community, for your country. Your fans will become your supporters and become an even more integral part of your journey. You're going to face difficult relationships with your body. 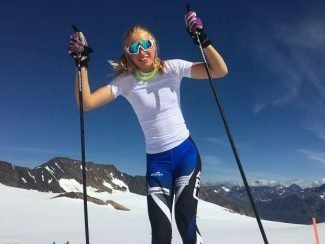 When you learn about power-to-weight ratio and notice how lean World Cup athletes look, you are going to try diets and eat less to look a certain way with hopes it will make you a faster skier. At first, you will notice yourself achieving the physical results you had hoped for: thinner, more toned. But your immune system will suffer, you will get sick and injured, you will enjoy skiing less and train with lower quality when you do not feed your brain and body. And worst, you will battle guilt if you eat something you decide is off limits. I wish you wouldn't give into these thoughts. I wish you would be proud of your body, for it is the vessel that will carry you to two World Junior Championships medals one day. I wish you would seek outside help about your relationship with yourself and food earlier than you do. Before you know it, you will be recruited to ski at various colleges, and you will be stressed trying to decide if you should go to school or take a gap year to ski. Education is important to you — don't forget that — and you need another outlet in your life to take the pressure off of skiing. It's OK to be stressed about which school to attend. It's a big decision. Heck, cry if you need to (you will)! Then, let Alaska's wild and vast landscapes lure you north. Don't question that decision for another moment; you are going to love it there. Your freshman year of college, you will earn third place in the relay event at the World Junior Championships in Midway, Utah, the first junior relay medal in the history of U.S. skiing, and the second medal of any kind. You will be on a team with three of your best friends whom you have raced against since you began skiing. It will feel euphoric! Let it motivate you and represent the potential that you and your country have in the future of Nordic skiing. That potential? Believe in it. It will be this belief in yourself and your commitment to giving your best effort that will lead you to two individual World Junior Championships medals in Goms, Switzerland. You will become the most decorated junior skier in U.S. history. But more than the medals and congratulations, you will be proud that you have proven to young skiers following in your footsteps that they, too, can reach their goals if they focus on controlling what is in their power and believe in themselves. Some days, you will want nothing more than to be a "normal kid." But always overriding this feeling will be your love of Nordic skiing and the opportunities that it brings you. You will travel the world. You will meet incredible coaches, mentors and friends throughout the US and beyond. Ten-year-old me, you will not regret joining the AVSC Nordic program. Do it! There's an old adage in the competitive winter sports world: "Skiers are made in the summer." I'm not sure who first spoke the phrase, but it still rings true today. While October is a natural time to discuss winter preparation, the truth is that we have been preparing for our return to snow since the lifts stopped turning last spring. If you spent time in Aspen this summer, you may have seen some of this preparation first-hand. Athletes built air awareness by practicing rotations and inversions Quick read more or view full article on Buttermilk Glacier, the repurposed snow left over from the X Games halfpipe. They increased their cardiovascular strength by exploring our valley on roller skis, mountain bikes, foot and more. They welcomed visiting teams into our clubhouse for training camps. They traveled far afield to places such as Argentina and New Zealand in search of snow. We are grateful to have such an amazing year-round training ground for our athletes, and an incredible community to help them take full advantage. One of the best parts about summer for us is the inevitable homecoming of athletes that have graduated to new programs, whether national or collegiate teams. Among others, Olympian Wiley Maple was one of our dedicated mountain biking coaches, silver-medalist Alex Ferreira could be found practicing new tricks and chatting with young athletes on the AVSC trampolines, and three-time World Junior Championship medalist Hailey Swirbul roller skied with our National Comp Nordic skiers. Summer is a great time for us to reflect on the impact and long-term effects of our work, and athletes returning "home" to the clubhouse to share their experiences with the next generation of AVSC athletes is perhaps the best return on investment we can ask for. It makes it easier for us to proudly send off our eldest athletes into their next chapter and reignites our excitement for the arrival of new athletes each season: pint-sized and chomping at the bit to follow in the tracks of those that have come before them. After all, you never know which one of them will be returning to the clubhouse in eight or 12 years with an Olympic medal around their neck, ready to inspire the next up-and-comers. Throughout the winter, we are excited to share a bit about life at, and after, AVSC through this column. You'll hear from a variety of community members: alumni, coaches, parents and more. As always, if you want to learn more about Aspen Valley Ski and Snowboard Club, please visit our website (www.teamavsc.org) or, better yet, come visit us in person — our clubhouse is at 300 AVSC Drive in Aspen (across the parking lot from Aspen High School). Cheers to a great winter ahead! We're Hiring Nordic Coaches for Bill Koch League! 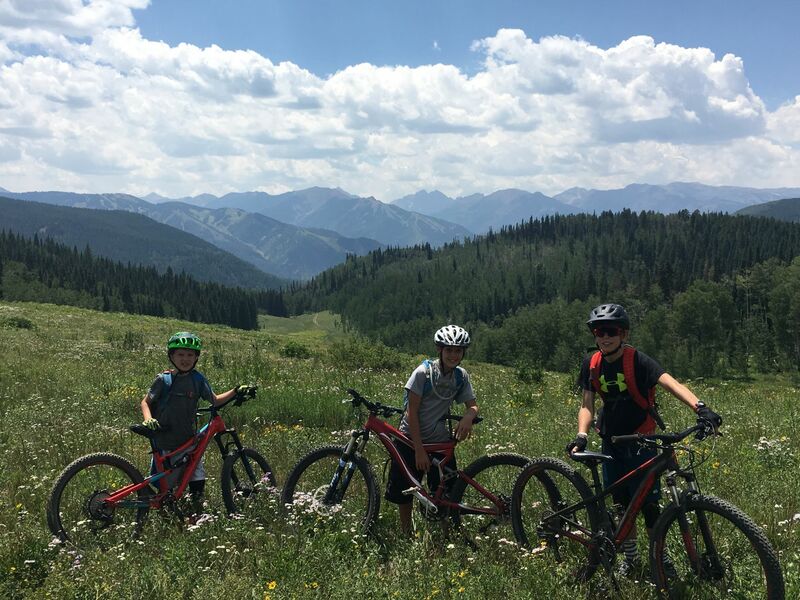 Aspen Valley Ski & Snowboard Club is looking for energetic Nordic skiers to help coach our recreational youth program, the Bill Koch Youth Ski League. This program, for children ages 5-11, is in need of local skiers of all experience levels to coach and be role models for our future champions during the 2018/19 winter season. WHO: All passionate skiers welcome to Quick read more or view full article help coach! We are happy to have all levels of skiers join us this season. Note: This is a paid position and dependent on background check. TO APPLY: Please email or call Garrett Russell, Bill Koch Youth Ski League Director: grussell@teamavsc.org / 802.355.4888. Please feel free to contact Garrett with any questions as well! Bill Koch, aka “Kochie,” is America’s first cross country skier Olympic medalist (1976). In addition to his international results, Bill was well known for fun and innovation. Often referred to as the father of skate skiing, Kochie helped popularize the technique in the early 80's leading to his bronze medal in the 1982 world championships. When he retired from world cup skiing, USSA honored Bill by forming the Bill Koch Ski League (BKL) to introduce America’s children to Nordic skiing. AVSC ran this program in the 80's and early 90's. 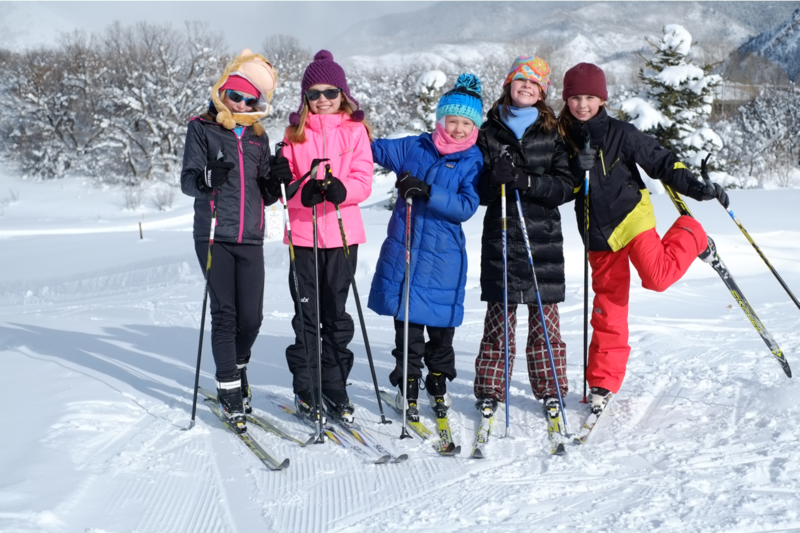 Our BKL programs are fun, learn-to-ski programs geared towards children ages 5-11. The emphasis will be on fostering a love for the sport and enjoying winter in the Roaring Fork Valley. Children will develop basic motor skills invaluable to their future athletic involvement. Skills such as coordination, agility, and balance will be taught through a variety of games and activities. As children progress through the Bill Koch League programs, they will learn teamwork, sportsmanship, fair play, and other essential habits common among successful adolescents. Want to register an athlete for the Bill Koch Youth Ski League? Get started here.